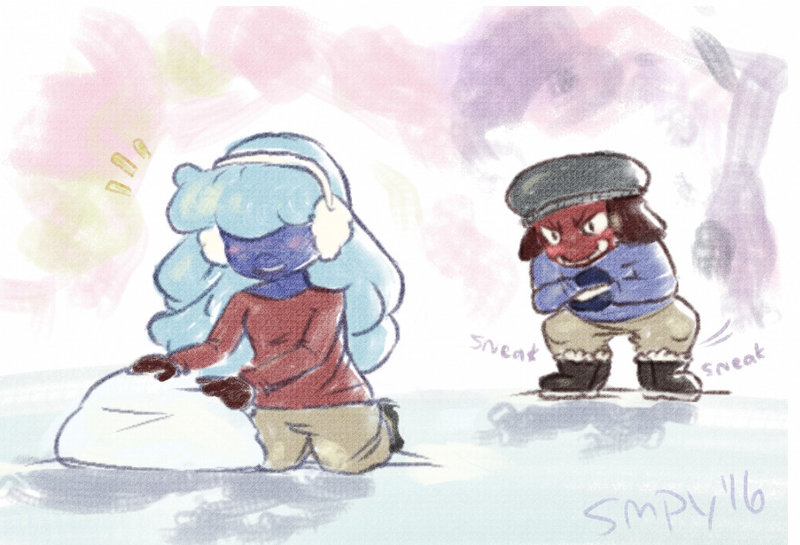 Description: Steven has enlisted the Crystal Gems for a snowball fight to celebrate the arrival of snow in Beach City. Garnet decides to get a leg up on the competition by splitting up. Fluffy shenanigans and fireballs ensue.